We offer professional assistance in identifying and closing on a securitized real estate investment to fulfill investment objectives and satisfy 1031 exchange requirements. Cornerstone advises the investor regarding offering sponsors, risk-return profiles of various property types, diversification options and leverage issues so you can choose a suitable property or portfolio of replacement properties for your 1031 exchange. Cornerstone ensures that the investor is aware of the various 1031 regulations and deadlines so that the 1031 exchange is accomplished correctly. We also aid in filling out the paperwork necessary for these investments and provide support for the duration of the hold period of the investment. 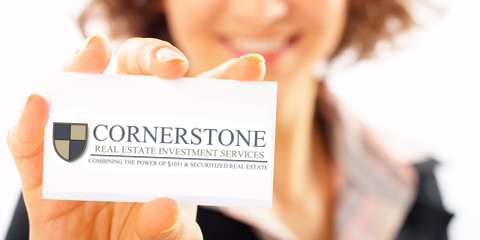 Cornerstone educates and advises the investor regarding the various options available in the fields of real estate-based funds, private REITs, private equity, private debt and energy-based investments.